Can ‘Marketing’ and thereby a monetary value exchange have a major role to play in non profits, NGOs and charities? 2 recent examples seem to prove a point. 1. It accepts donations only in the form of old items. Not money. 2. It uses social media in a unique, relevant and a compelling way to trigger ‘action’ for its cause. The brilliance of their social media campaign to rake in donations notwithstanding, the big idea for me here is their fundamental business model: It collects items people don’t use anymore, and instead of donating these to the needy, it sells them at a price (although minimal) to the underprivileged and uses this money for the empowerment of their community. The exchange of monetary value in this equation triggers a chain reaction from ‘donation of the giver‘ to the ‘dignity of the receiver‘ while making the whole model sustainable. “You can buy a Coca-Cola virtually anywhere in developing countries but in these same places 1 in 9 children die before their 5th birthday from simple, preventable causes like dehydration from diarrhoea. Get a low down on its business model here. 1. 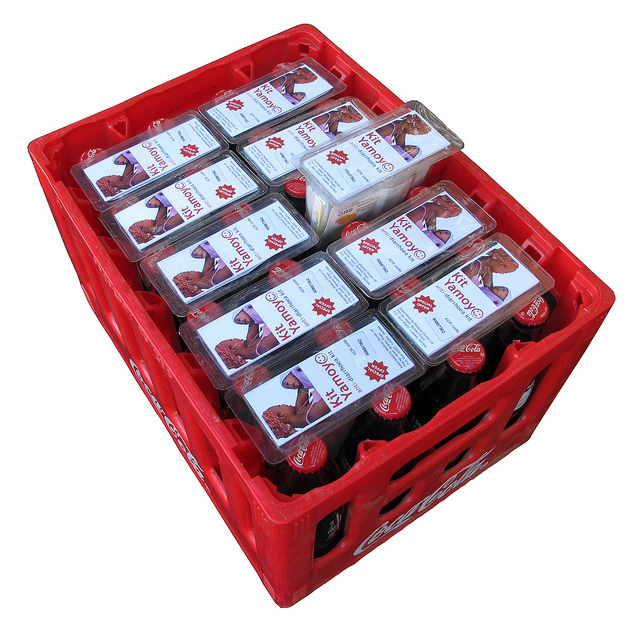 The design of AidPods: The oral rehydration salts (ORS) in the ColaLife network are distributed in specially designed packs called as AidPods. These are wedge-shaped containers that are designed to fit within the unused space of a coke crate, i.e., between the necks of the bottles. The design of the AidPod also serves as a contaier for the salts, as a measure for water, as a storage device and as a cup for drinking the ORS. No wonder it won the Product Design of the Year Award for 2013. These are just a few of several recent examples out there that have one point to prove: ‘Marketing’ and thereby a monetary value exchange do and should have a major role to play in non profits, NGOs, humanitarian agencies and charities in order to remain sustainable and have truly far reaching consequences to the needy. And that begets the question – couldn’t the nonprofit sector use the same strategies as the businesses to sustainably serve the needy? This entry was posted in Branding, Design, Non Profit, Sustainability and tagged Cola Life, Dan Palotta, Kit Yamoyo, NGO, Non Profit, Once Again, Sustainability, TED. Bookmark the permalink.